If you're planning your first trip to Walt Disney World (or maybe your first trip since FastPass+ launched), these Disney World FastPass+ tips and strategies are for you! FastPass+ can be a huge time-saver, and is an integral part of a Disney World vacation ... but it does require advance planning to do it right. Have no fear, frog fans! We've got you covered with these Disney World FastPass+ tips and park plan strategies to help you skip the lines and maximize your time (and who doesn't want more time at The Most Magical Place on Earth?). If you're looking for the basics, we recommend you start with our Guide to FastPass+, which includes frequently asked questions. Guests staying at a Walt Disney World Resort hotel can make FastPass+ reservations up to 60 days in advance of check-in for their entire length of stay (up to 14 days), while guests staying offsite can make reservations up to 30 days in advance of each day of their theme park visit. The system allows guests to make advance reservations to skip the regular lines at three rides or attractions of their choice inside one park for every day of their visit. The most important thing to know about FastPass+ is that you should use it no matter how empty you think the parks will be when you visit, especially with Star Wars: Galaxy's Edge opening in August 2019. Crowds will always be around in the parks, and FastPass+ is a frogtastic tool to help mitigate them. You will see the very lowest waits of the day in the first few hours after the park opens. We recommend riding the highest priority attractions with the lowest durations when crowds are lowest (which you can see on our park plans) and saving FastPass+ until late morning or early afternoon when crowds are at their peak. If you arrive before park opening, you'll be in prime position to ride most of the major attractions before lunch time and maybe have used one of your FastPasses. We'll discuss this more below, but once you've used your three pre-booked selections, you have the option to obtain more FastPass+ reservations from the in-park kiosks or the My Disney Experience app. For families with younger children, it may make more sense to split your FastPass+ times, using one or two in the morning and then the remaining in the evening. This allows you to take a break in the afternoon, go back to the hotel for a nap or a swim, and then come back to the park for a few more rides, the parade and fireworks. Use FastPass+ as part of your general park planning strategy along with our park plans and Orlando planning app. 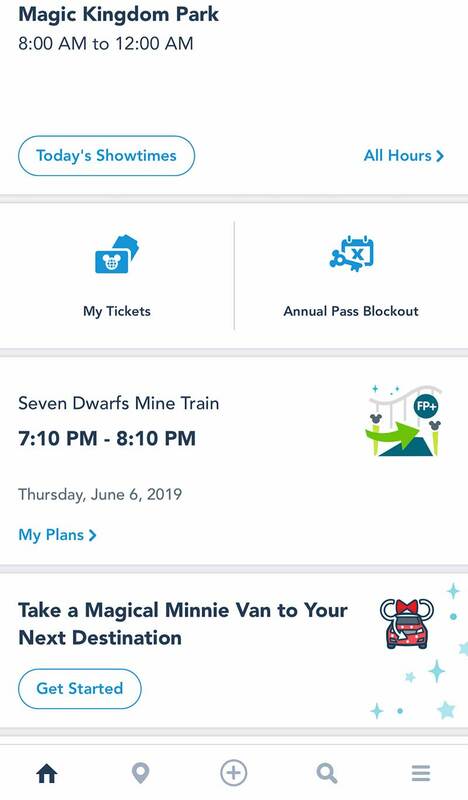 Make sure all of your party members are connected as friends and family, and your tickets are linked in My Disney Experience. Before you make reservations, make sure all of the members of your party are linked as friends and family, and all of your tickets have been linked. 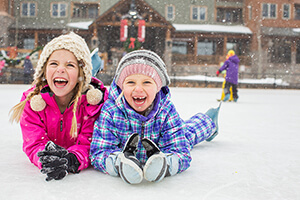 While all adults can make or change reservations, we generally find it's easier if one person makes reservations for the whole group. Resort guests have the ability to book up to 60 days in advance of their check-in date, while non-resort guests can book up to 30 days in advance. 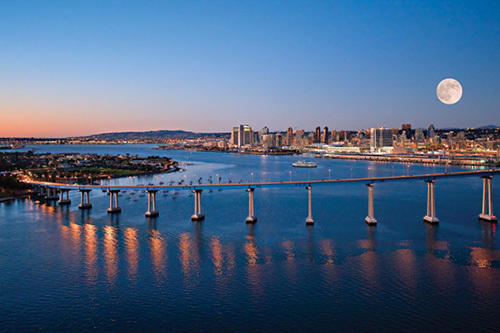 We recommend booking as soon as your window opens, so that you can secure a reservation for the most in-demand attractions. This means you will need to know which park you will be visiting on each day of your trip. On the day your booking window opens, you can start making FastPass+ reservations at 7 a.m. EST. Mommy Frog usually sets an alarm to try to snag FastPass+ for Seven Dwarfs Mine Train, Flight of Passage and Slinky Dog Dash. If these aren't your priority, you may be able to sleep in without worrying about missing out, but we still recommend making your reservations as soon as possible, as availability is limited. Choose your FastPass+ selections wisely. Disney more than doubled the number of attractions that accept FastPass+ over the previous FastPass system. We're all in favor of more choices, but all attractions aren't created equally. You want to make sure you use your FastPass+ selections on your favorite rides and the most popular attractions with the longest wait times. To help you out, we made a list of priority attractions by park. Mind the tier system at Epcot, Disney's Hollywood Studios and Disney's Animal Kingdom. All parks except for Magic Kingdom have a tiered structure in place for FastPass+ selections. You can make only one selection from the Tier 1 list of attractions and two selections from the Tier 2 list. 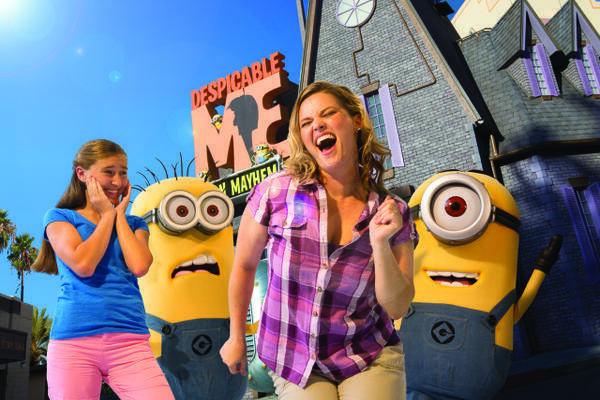 The Tier 1 attractions include your main headliners, those attractions that you do not want to miss. 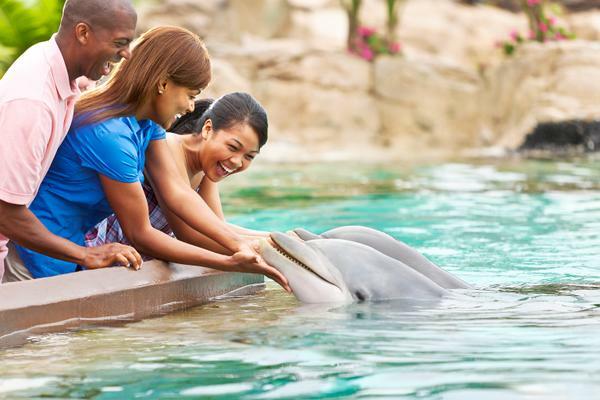 Not surprisingly, these are the same attractions with the longest waits. Want to see the full list? Check out our Park Plans page. It also lists the suggested sequence of lands or areas to visit by park. Each of these is among the most popular attractions within the parks that see the highest wait times. In some of the parks, it's an easier decision because of the abundance of high-priority attractions. At Epcot and Disney’s Hollywood Studios, it’s a more difficult decision, which brings me to my next point. If you see that there is no more availability at one of your priority rides, such as Slinky Dog Dash or Seven Dwarfs Mine Train, you should keep trying. Go ahead and book three choices, but periodically leading up to your visit, attempt to modify your reservations with the really in-demand attractions. It's worthwhile to check on the day of your reservation, as well, as cancellations do happen (which means those high-demand FastPasses get re-released and are up for grabs!). We've bolded what we think are the best choices from the Tier 1 lists. We chose Frozen Ever After because it is by far the most in-demand FastPass+ at Epcot, so catch a reservation if you can! If "Let It Go" isn't your jam, Soarin' would be our next pick. We know that if we hit Epcot at park opening, we can ride Test Track with a short wait and experience the full pre-show. Tad loves to design his own concept car, and for first-timers, it's really part of the full Test Track experience. We usually continue to visit the other Future World attractions in the morning and then schedule Soarin’ for the late morning before heading to World Showcase. Back in the old days, people lined up outside of Disney's Hollywood Studios before park opening and made the (very fast) walk to Pixar Place to grab a paper FastPass for Toy Story Midway Mania because it was so popular. Thanks to FastPass+ (and adding more ride capacity), you can now make this your Tier 1 selection and select a reasonable time to ride. (That's what we would do!) 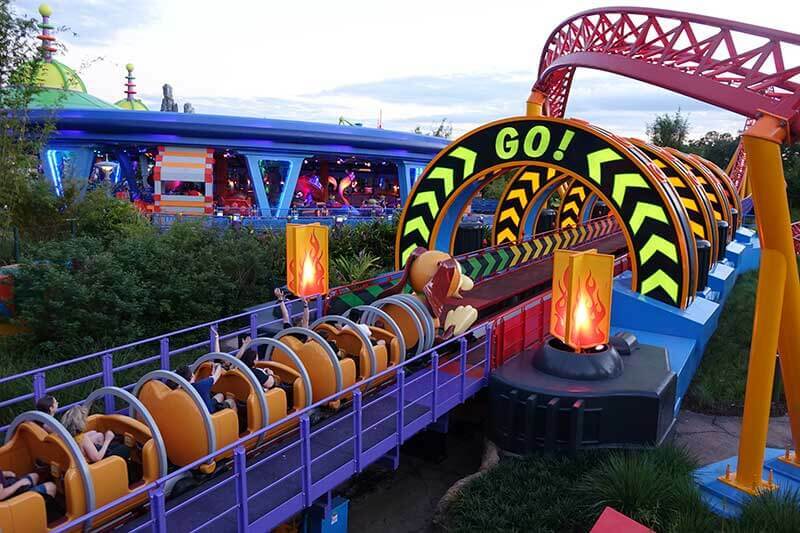 But we'd still recommend arriving at park opening, hopping over to ride Toy Story Midway Mania or Slinky Dog Dash (whichever one you don't have a FastPass+ for) and ride it first. If lines aren't too long, you might even be able to ride a second time! You can then hop over to Rock 'n' Roller Coaster and The Twilight Zone Tower of Terror. For this Frog Family, Flight of Passage is the favorite choice at Animal Kingdom. This incredible flight simulator ride can be tough to get a FastPass+ for, so if you're not able to, we recommend heading straight there at park opening. 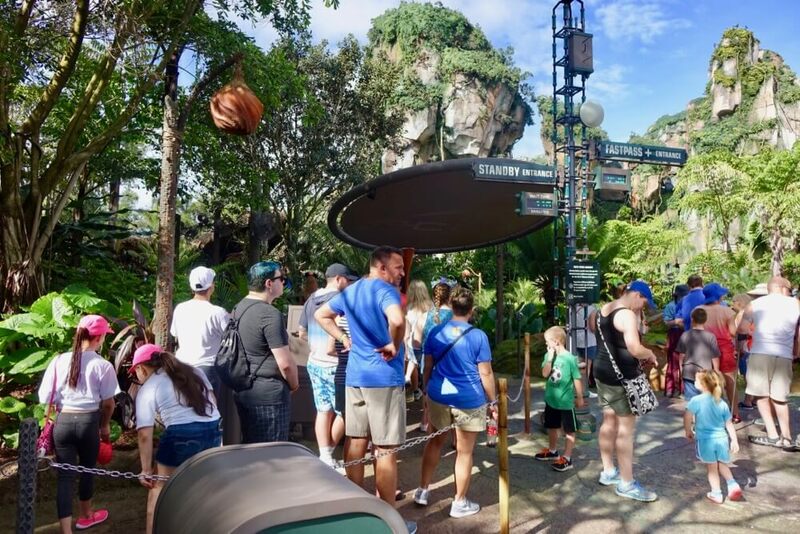 Flight of Passage is so popular, we've written an entire post about getting FastPass+ for it and Na'Vi River Journey. Choose the rides that are important to YOU and YOUR FAMILY! 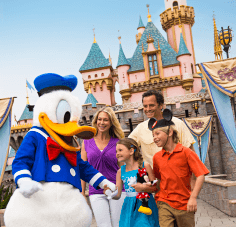 If you're traveling with young children who aren’t 40 inches tall, character experiences might be your priority, or some of the family-friendly Disney classics that don't necessarily have the highest wait times. Decide what works best for your family and plan accordingly. Attention, park hoppers! Pick a park for your advance FastPass+ reservations. You can only make advance FastPass+ reservations in one park per day in advance. So if you’re planning on starting the day in Disney’s Animal Kingdom and hopping over to Magic Kingdom in the afternoon, know that you can only make advance FastPass+ reservations at one park. We recommend you use FastPass+ at the second park you’re headed to since you're more than likely starting at the first one when crowd levels are at their lowest. Make use of extra FastPass+ reservations after you have used your first three. All park-goers have the option of obtaining additional FastPasses. Once you've used your first three (or the reservation windows have passed), you can visit an in-park kiosk or use your mobile device and make an additional reservation. After you use that reservation, you are free to make another. These additional selections don't have to be in the park that you made your first reservations in, which makes it good for park hoppers, and it doesn't matter if you've already made a FastPass+ reservation for that ride. While this is still a good way to save time, you will want to make your first three reservations your highest priority attractions. Often FastPass+ availability for these popular attractions will be gone or limited for day-of reservations. Use it. Don't lose it. Modify and make changes to your Fastpass+ reservations. Once you've made an additional FastPass+ reservation, you can modify that reservation, including changing the time or replacing the attraction with something else. You can do this using the website, mobile app or at a kiosk. If you use the kiosk, note that your whole party doesn't have to be present to add or change the FP+ selection, but the person making the reservation needs to be connected to everyone as friends and family in My Disney Experience. 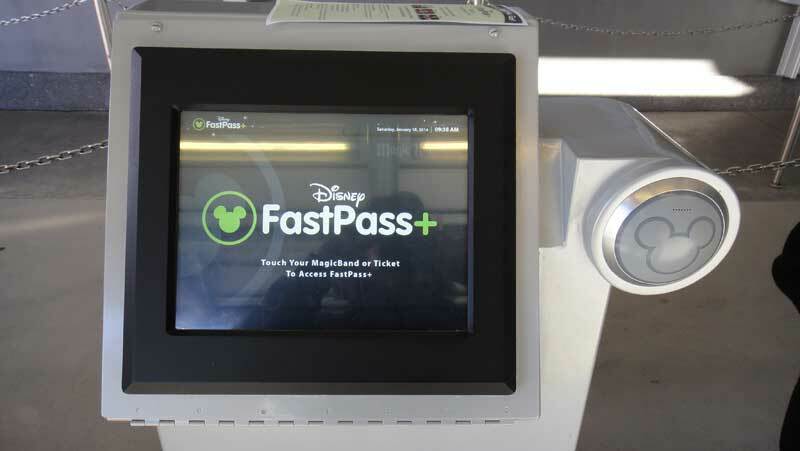 Use FastPass+ in combination with Rider Switch. If you'll have a tadpole with you who isn't tall enough for all of the rides, you can use Rider Switch so that no one has to miss out. The benefit of this is that only your first party riders would need FastPass+. Let's say you're a party of four and three of you want to ride Seven Dwarfs Mine Train. Your youngest child can't or doesn't want to ride. You would all go to the FastPass+ entrance and tell the cast member you want to do Rider Switch. Your husband and older child would use their FastPass+ to ride while you waited with your youngest. You would get a Rider Switch pass, and you could wait for your husband and then ride along with your older child again while he waited. Or you could come back with your pass later and ride. The Rider Switch pass is good for up to three people. Whew! I know that was a ton of information. 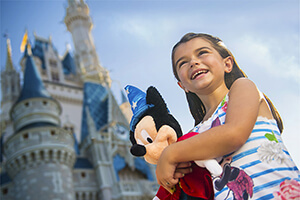 We hope that these Disney World FastPass+ tips will help you on your next trip! Have more questions about FastPass+? Have Disney World FastPass+ tips to share? Leave them in the comments. Check out our Disney FastPass+ Planning page inside the Orlando Planning Timeline for more tips! Hello! I'm a Disney-veteran, but I've never tried booking one Fastpass and then linking it to the others. How exactly does that work? It all comes together through My Disney Experience. If look under your main options when hovering over "My Disney Experience" when on desktop, you'll see the option "My Family and Friends." Click there, then click on the blue plus sign to "Add a Guest." It will then walk you through getting in touch with the others in your party (the easiest way is through their reservation number or ticket). Once they're connected, you can then manage FastPasses for the group within the app. Question about Child Swap..Say there is a ride my husband and two kids want to ride, but I don't. Can we use child swap in that scenario? My husband and oldest ride the ride using Fast Pass, I am in line with a child swap pass with my youngest. When the ride is done, my oldest gets off and my youngest gets on with my husband? Yep! That will be no problem. We are planning a trip to DW in 2020. One person will be purchasing all the Disney tickets and we will link them all together. Since everyone may not be staying on Disney property, can our family member that is staying on Disney property obtain fast passes for the whole group, 60 days prior to check in? Unfortunately, those members staying off-site will be limited to a 30-day window for their FastPasses. 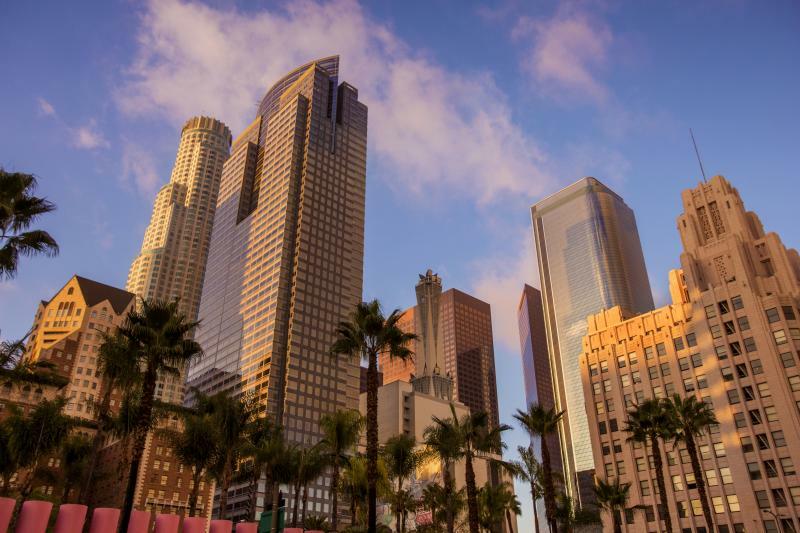 The organizer can still book for the group, but the windows for on- and off-site guests will still apply since you'll need to link your hotel reservations. We are going in June. The first day we will do rope drop at MK. We want to get a fastpass for Slinkydog but won't be going to that park until the next day. How do we get a fastpass? Can we order them during our 30 day window? That's correct; if you're wanting to head to ride Slinky (and who doesn't?!) you'll need to grab a FastPass during your booking window. If you're staying offsite, that window is 30 days prior to your arrival; if you're staying on Disney property, that's 60 days prior to your arrival. Forgive me if this was on your site and I didn't see it, but could you tell us which rides we do NOT need a Fastpass for? I.E. rides where the lines move quickly and there is likely to be under half hour wait. This can vary depending on the day, of course, but the Barnstormer, Magic Carpets (we like to eat our Dole Whips in line while we wait), Mad Tea Party, The Little Mermaid, its a small world and Monsters Inc. Laugh Floor tend to have shorter lines and may not be worth an advance FastPass. Keep in mind that weather plays a big part (folks will be looking to hop inside on the warmest part of summer days and/or rainy days, and on cold days, water rides will have little to no wait). Another one that may not be worth the advance FastPass is Dumbo, which has an air conditioned play area to wait your turn to ride in. A good amount of rides will have same-day FastPasses (provided they aren't in high-demand, like Slinky Dog Dash or the Pandora rides), so we like to try to use our initial three on our "must" rides that tend to have longer waits, then check in to see if we can't get our other favorites on a FastPass once those are used up. Muppet Vision and Finding Nemo tend to have lower wait times, as well. Say we want to ride splash mountain do both adults require a FastPass? Technically if we get fast passes for all rides that ur children cannot ride could we have 6 in one day. 3 for my husband and 3 for me but child swap?? I don't blame you one bit - Rider Switch can be a little confusing! If you are utilizing FastPass with your Rider Switch pass, then yes, both adults will need a FastPass reservation. However, you don't need FastPass reservations to utilize Rider Switch (though when you make your Rider Switch reservation, this will show up with your FastPasses in My Disney Experience, and you'll usually enter using the FastPass queue). You can find a little more information about Rider Switch here. Hi! Reading everyone's question/answers has been so helpful! So we are booked to visit in October 22-29th. My question is am I able to book fastpass' for our whole trip starting 60 days out or do I need to do it day by day? I hope that makes sense! Thank you! If you are staying on Disney property, you'll be able to book your FastPass reservations for your entire trip starting at the 60 day mark. Hi! We will be going to Animal Kingdom Ferb 11,2019. The regular park hours are 9-8. I got a FP for Rivers of Light at 8:15 after regular park hours. I am not staying at a Dianey property, so do not have use of EMH. Will I not be able to use there fast passes? Thanks! Hi. We're staying on property for three nights (first) and with friends for another two. If we have five days of park tickets can we make FP for all of those days at 60 days out, or just for the days that we are on property? If you are starting your trip on Disney property, you'll be able to book your FastPass+ Reservations for the whole trip at 60 days out. Enjoy! Hi! We are booking our honeymoon for early August. The first few days we’ll be staying on property before moving to an off-property condo. Do you know if any of the benefits of staying on-property carry over once we’ve moved locations? (Ex- can we book fast passes 60 days out for the whole trip?). Also, any recommendations for resorts, which days of the week to visit which parks, etc? Planning probably an 8 day trip with one day at Universal. Thanks! Congratulations! Yes, since you are starting your honeymoon on Disney property, you'll be able to book FastPass+ reservations at the 60 day mark for your entire trip. Our Crowd Calendar has a lot of hopful information about park hours, crowd levels and recommended parks for each day of your trip. We also have a lot of great planning tools to help you strategize while in the parks. We have lots of hotel information available so that you can take a peek at the options available to you at Disney -- we're sure the Frog Pond has lots of valuable recommendations to make your trip extra magical (and romantic) too! I will be visiting WDW in the spring of 2020 with my wife 2 kids and brother. My youngest is only 2 and there are a few rides we'd like to utilize the Child swap program on. My question is sense we have 4 riders able to use the fastpass plus system. Could I make a fast pass reservation on a tier 1 ride for one using only two fast pass reservations then use a child swap to get the other two people on the ride and use the other two peoples tier one reservation on another ride and child swap again. This way we can ride two tier 1 rides with out having to rush to one first thing in the morning? Does the question make sense at all haha? I have a question I can't seem to find an answer to. If I have a 5 day pass (one park per day) and reserve all 3 Fastpasses for a certain park, can I later decide to go to a different park and just delete these Fastpass reservations? I'm not sure if we want to go to Animal Kingdom on a Sunday or Saturday and I'd like to reserve Fastpasses for Animal Kingdom park on both days. We could then choose which day we go and still have the fastpasses. Yes, you can do this. Just keep in mind that if you have a 5-day ticket, you will only be able to make FastPass+ reservations for five days. We are a group of 14. Four will be checking in the day after the first 10. What is the best strategy for getting fastpasses together? We recommend waiting to book all FastPasses+ together once the second party's booking window opens up ... this will make it easiest to match up all of your plans! I'll be using a wheelchair. Will we be able to fit through all the waiting lines? 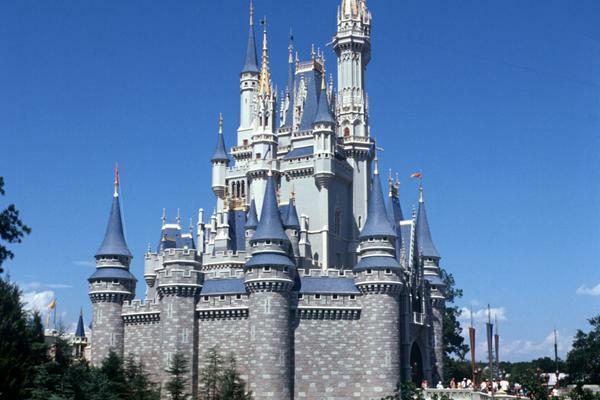 Can we still use a FastPass with a wheelchair? All lines are wheelchair accessible (and if not, there's always a wheelchair accessible alternative!) so you don't need to worry. Of course you can still use FastPass+ with a wheelchair! my question is a general question, but mainly with rope drop and fast pass lines. We will be coming in January. A family of 6, one of our family members will be in a wheel chair. how does this affect the hustle and bustle of rope drop? The fast pass lines and regular lines? She has bad arthritis but can walk for a while with out complications. But a full day of walking and standing in lines is way too much. Is it even possible to navigate rope drop with a member in a wheel chair. I really want to include her in everything but not hold back the group. Sounds like that rush to get to FOP or Slinky could be a huge swing on waiting times. (If you are in the front of the pack or at the back) Also do all rides have a handicap line? So many have stairs and non-friendly wheelchair paths to the ride. She can easily navigate from the line to the ride with out the chair. But in line and from ride to ride the chair is needed. Thanks ahead for any help or suggestions. We recommend visiting guest services upon arrival to see if any accommodations can be made for you. Not being in the "front of the pack" does make a huge difference. All rides are handicap accessible. “Sharing” FastPass question— our family of 5 is staying on property but we know that not all of us will go to the WDW parks on some days (some of us will be going off property.) Can we use those family members’ magic bands and fast pass selections or do those people have to physically be in the park to use their ticket for the day to use their fast passes? No - those family members would have to enter the park with their ticket or MagicBand and finger print in order for their FastPass+ selections to be available for us. Is it still correct that you don't need to get FP for all members of our group if using child swap? I keep seeing mixed responses? We are family of 4; one 3yo who cannot ride several rides. Can we just get 2 FP for my son and I and then my husband rides using child swap through FP line even though he wouldn't have a FP? Is that how it would work or do we need to get 3 FP? If you'll have a little one with you who isn't tall enough for all the rides, you can do a child swap so that no one has to miss out. The benefit of this is that only your first party riders would need FastPass+. Let's say you're a party of four and three of you want to ride Seven Dwarfs Mine Train. Your youngest child can't or doesn't want to ride. You would all go to the FastPass+ entrance and tell the cast member you want to do a child swap. Your husband and older child would use their FastPass+ to ride while you waited with your youngest. You would get a child swap pass, and you could wait for your husband and then ride along with your older child again while he waited. Or you could come back with your pass later and ride. The child swap pass is good for up to three people. is there a list somewhere that shows which rides have the double tap for fast passes? Most rides have two touch points, but the use of the second one depends on how busy the park is and if they feel it's necessary. Always plan to tap twice! You need to update your downloadable Frog Family Guide to FastPass+. It does not list the current Tier 1 attractions in Epcot, Animal Kingdom, and Hollywood Studios (your web page does). Also I believe that you can get additional FastPass+ reservations on Disneys app (after you use the 3 that you reserved in advance) mow and do not need to go to a park kiosk. Thanks so much for letting us know - we'll update that ASAP! I am trying to figure out our fast passes and having a lot of trouble. How do you know where you will be in the park so that you can book a time slot for certain rides? Not sure if this makes sense, but when I usually go to a park I just walk through it and if I see a ride I want to go on, I wait in line and get on. I'm thinking with disney I better not do this. How do you suggest I decide what time slots I should choose? What if I choose a 2pm time slot for a certain ride and I'm all the way at the end of the park and this park is super far away. Hope this makes sense. Thanks for your help. We recommend looking at a map when scheduling your FastPass+ reservations. For example, we recommend booking back-to-back FastPasses+ for rides that are close together like Peter Pan's Flight and Seven Dwarfs Mine Train. However, consider putting an hour or more between FastPasses+ for attractions across the park from one another, like Flight of Passage and Exhibition Everest ... especially if you're unfamiliar with the parks. I am staying at Pop Century starting October 25, 2018. I have linked my resort reservation and park tickets to my Disney account. For some reason, though, when I look to book my fastpasses, I am only allowed to skip 30 days ahead. I thought I can book 60 days in advance. Does anyone know why this is happening? Thanks! Hi I just asked this question today when I called for help to WDW in setting up my account and getting ready to book for a November visit. The answer was that your account will list access 30 days in advance until the actual first day you can book for 60 days in advance based on your resort arrival date. (The WDW system will read in your resort start date and feed that into your Fast Pass data.) On that morning at 7a your Fast Pass account will go "active" for a 60 day advance booking. Since my resort stay starts later than yours this fall I won't be able to say if that's correct or not, but it seems to make sense. Weird! We recommend calling Walt Disney World guest services for assistance at 1 (407) 939-5277. We have tickets for Mickey's NSSHP in October. I've read conflicting opinions on several different sources about the ability to reserve FastPasses for the 4:00pm to 7:00pm time period with only a Party ticket. Is that allowed, or is a park ticket needed for that day? Thank you! We're still trying to get to the bottom of this ... we've heard of conflicting experiences as well! Keep an eye on this post and hopefully we'll have an update soon. We did this Dec'17. We only had a party ticket, but were able to cram in the fast passes before the times shut down for party only times. I read where they are now doing "digital" rider switch passes. We are traveling with 7 people, but one is a toddler. We were hoping to divide fast passes and utilize the rider switch (3 get Test Track and 3 get Soarin) and then the people who don't have to corresponding FP+ can use the rider switch. Will all of that still work with the "digital" rider switch? We just dont want to divide our FP+ and then get turned away since the others dont have FP+ for certain attractions. Hope that makes sense!! Thank you! Hi.. I have a question regarding the combination FP+ and Child Swap... I read in some blogs that you can take advantage of this combination and you can do a FP+ reservation in 6 different attraction. e.g. we are 2 adults and 1 little princess (3 years old).. Can my wife and myself took differents FP+ selections and use Child Swap to rides the all 6? Yes, you can do that. The only person that technically needs a FastPass+ is the first person that rides! When booking FastPass....Do you book one of the tough ones in one park and then move to another park and day to get the next toughest one you want? Or once you are on that day in that park book the 3 for that day and then move on? Hope that makes sense. If you're referring to making your FastPass+ reservations as soon as your window opens, yes, this is a great approach! It's best to book those hard-to-get ones and then go back and fill in the blanks each day with your other choices. I'm travelling with an 11- year-old and a 13-year-old. who want to ride Expedition Everest. I got them Fast passes, but that means that I still have one available for me. All three of us have Fast Passes for the Safari. But...what we really want, Avatar, is already sold out of FPs for our dates. Should I book Navai FPs for us? Should I keep some slots open so I can jump on Avatar if it becomes available? Thanks for any advice! The beauty of the FastPass+ system is that you can always book a FastPass+ reservation and modify it if something "better" becomes available. In your case, you can book the Na'Vi River Journey FastPass+ and keep an eye out to see if anything for Flight of Passage opens up. Simply click "modify" to check available experiences and times ... your existing FastPass+ will not be affected unless you choose and confirm something new. Thanks! So, any advice on how to best use my time while my kids are on Everest without me? Is there any scenario where I can use two fast passes in my name to sign them up for something else? While not encouraged, you could technically put an additional FastPass+ under your name and allow them to wear your Magic Band to swipe in at the attraction touch points. However, this would only work for one kiddo at a time! While they're on Everest, there is a yummy little bar and ice cream truck nearby that we definitely recommend checking out :) The alcoholic ice cream floats are my fave! Our family is getting super EXCITED as our countdown to Mickey is getting close! 75 days!! My question is: We are a party of six- 4 children, 2 adults + 1 toddler. If I were to secure 3 fast pass + reservations for Avatar Flight of Passage, would we be able to utilize rider swap for 3 other members in our party? Ultimately, it would be ideal to be able for all of us to ride together, however, one of the adults will have to wait with our toddler. Thanks! Yes, Rider Switch covers up to three guests at once. So, if you were able to secure three FastPass+ reservations, that means three could be in party one and ride first, while the other three are party two (including the toddler) and waited their turn to ride. The adult and child waiting with the toddler can switch out with the adult and one other child in party one! Since Rider Switch covers three guests, one other guest can return with the adult and child from party two. Hope this makes sense! I am visiting with my wife and two sons (13 and 9) from august 19th-September and have Fast Passes included on our WDW tickets. I understand that you get 3 passes per day (with an additional one when all three have been used) but can you book up 14 days of passes in advance or just your first day. also we are arriving very late (about 1 am) so probably won't hit the parks till after lunch on our first day. do you have any suggestioons for a starting point late on a Sunday? You can book up to 14 days of FastPass+ if you're staying on-site at an official Disney World hotel. Otherwise, you'll have to book them each day. 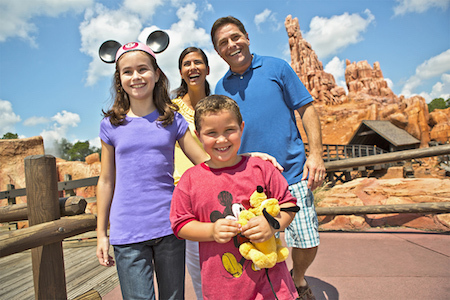 Hop over to our Disney World park plans to get an idea on how to prioritize your day! Quick question, I see that you can only have 3 fastpass plus passes. I am going with my family. 2 adults and 2 kid (11 and 4) The younger rider won't be able to ride some of the attractions. My question is if only 1 adult gets a fastpass for a certain ride will they be able to ride with the 11 year old and then the other parent ride with the 11 year old? or do both adults need a fastpass? Only one adult and the 11 year old will need a FastPass+. Yes, the first party (an adult and the child riding) will need a FastPass+. Then the second party (the other adult and younger child who is not riding) will wait for the first party to be done riding. Then the adults will switch! My family of 6 is coming Florida for 2 weeks and plan to go to DW for 8 days in August, the first few days are 7 & 8 out of 10 on the crowd calendar. The next full week it drops down to 6/10. With toy story opening at the end of the month we are just trying to figure out when to go to the parks utilizing the fast passes. Since we are staying off site, we can only book 30 days out and from other comments fast passes are difficult to come by. How accurate is the crowd calendar and is if safe to say our chances of fast passes are better on the 6/10 days. We haven't bought our tickets yet but plan to the end of the month. Can we switch the day we start our Disney vacation planning to go to the parks depending on what time fast passes we can obtain? Your chances of getting better FastPasses+ are definitely better on the 6/10 days since less people are expected in the park. You can switch the day of your visit as long as you have the appropriate tickets. Each adult who wishes to ride must have a FastPass+ reservation. Quick Question about park tickets. We purchased park tickets for an upcoming trip, and as a gift purchased tickets for other family members for a trip they are taking a few weeks before ours. I did all the planning for both trips, and accidentally set up their FP+s and our FP+s using the same ticket numbers for both trips- oops! Is it possible to have them swap the FP+ over to a new ticket number without losing our FP+ reservations? What a generous gift! If you assigned each ticket to the appropriate family member and linked all of your tickets, you will be fine! All you need to do is modify the FP+ reservations for the right dates for the specific tickets for the other family members. If you have any more questions, please call our customer service! Thank you for these great tips. My wife and I will be headed to WDW at the end of the month. We are going to surprise my brother and sister (13 & 7) who have never been to any Disney Park. I had two questions. First, my Dad already has the tickets and magic bands for himself, my brother and sister. If he gets their fast passes set up now would we be able to link up with those once we have our tickets and magic bands? Secondly, say my Dad and brother go on a ride with a FP and my wife and I stay with my sister. Would we both be able to switch out or would we need three fast passes for the child switch to work? You all must have your tickets purchased and linked in My Disney Experience to reserve FastPass+. Your dad could do his and those who have theirs now, and then try to “copy” those selections to the other tickets when they are linked. All people intending to ride using FastPass+ need the reservation. Have a great trip! Thanks for these awesome tips. My wife and I are going out to WDW at the end if the month. We are planning on meeting my Dad, brother and sister there. It will be the first time at any Disney park for my brother and sister and my wife's first time at WDW. I had a question about setting up the fast passes. My Dad already has their tickets and magic bands. If he sets up the FP times for the 3 of them and my wife and I are not able to get our tickets till the day prior would we be able to link into the fast passes they selected? Or if say my Dad and brother go on a ride and we wait with my sister would my wife and I be able to swap out with them? Everyone in your party must have the same FastPass+ in order to ride together - swapping is not an option and it will be tough to add you and your wife to your dad, brother and sister's FastPass+ reservations at the last minute. We recommend purchasing your tickets sooner and linking them all to help with the planning process! I'm a bit confused. How is the child swap not an option? I thought that one of us could wait with my sister then one of the people who ride first could hop off so whoever stayed behind could ride? We're a bit confused on what you're asking! Child swap is most definitely an option in that case. Hi we are visiting in August and want to ride Frozen and Soaring which would be better to get a fast pass for? Frozen Ever After is definitely a harder FastPass+ to get ahold of, so we recommend aiming for that! Hey we are a family of 5 adults and one baby. Is it possible that we get fast pass for two adults and the rest three ride using rider swap? In this case, all adults would need a FastPass+ reservation. We won't be riding Pirates of the Caribbean until after 6:00PM. Is this ride a good use of our initial FP+ or should I use Pirates as my 4th FP+ selection? Does that ride have FP+ availability throughout the day? We'd save your initial FastPass+ reservations for the high priority FastPass+ rides, such as Splash Mountain, Peter Pan's Flight, Space Mountain and Seven Dwarfs Mine Train. Of course, it's up to you in terms of which rides are priorities for you! If you want to book FastPass+ for rides with longer waits (such as those mentioned above) as your initial three, then we'd say save Pirates of the Caribbean for your fourth FastPass+ reservation. Hope this helps! I will be leaving for Disney by the end of the week, I read already that if we have previous bands, they can be re-programmed for our new upcoming trip. But, my question is I have 2 other bands from my relatives previous, trip can they be given and program to new family members that will be going now? Yes, they can be! Simply enter the MagicBand code under the tickets for the new person. Is it still accurate that you have to use a kiosk to book your 4th+ FP selection? I have read multiple places that after you check in for your 3rd FP you can hop on MDE in line and book your 4th at any park - just want to make sure I understand. Nope! You can now book your fourth FastPass+ reservation in the app after using your first three. If we have 6 people in our party. Two of our three daily FP will be the same. But on the third one, 3 of us want to go to one ride while the other three go to another. Can I book the other 3 people on a different 3rd FP that won't include myself (the main MDE account holder)? Hope I explained that well enough. Yes! All you need to do is make sure you are all connected in MDE as friends and family! Hi, i was wondering if i choose to fasstpass at animal kingdom and then regret and want to change park to epcot will i be able to do that or once you choose your park its finally? No worries! You are able to switch your FastPasses+ to whatever rides you'd like (at whatever park) anytime as availability allows! Hi, going to DW 1st wk of June for 4 days in parks. Our tickets are Hoppers. We have FPs set. Day 1 is AK. If we use up our 3 FP in AK can we try to get FP for another park while in AK? Thank you! Yes, you can! 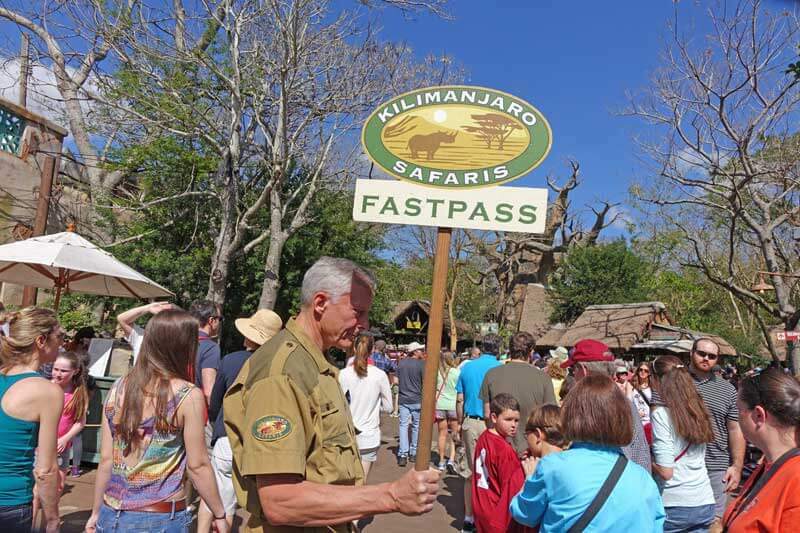 Once all three of your original FastPass+ reservations have been used at Animal Kingdom, you'll be able to get one additional FastPass+ at a time at the park of your choice. I want to make sure I'm understanding the child swap...We will be traveling with 2 adults and 2 kids (7 and 5). Let's say the 5 year old isn't going to ride 2 rides. If I, for example, book 2 fast passes for Seven Dwarfs and 2 for Space Mountain, and do a child swap - this would allow the 2 adults and 7 year old to ride both rides, while only using 4 fast passes? firstly, if i book a fastpass for say 1pm-2pm, would it be wise to do the next one for 1.30-2.30pm or 2-3pm? not sure how much time to leave in between them? Secondly, I did not know about the Tier things!! Does that mean we cannot book FPs for more than one tier 1 attraction in a day? in a whole trip? how does it work? The FastPass+ system will not allow you to overlap two reservations, so with the scenario you suggested, the closest they could be is between 1-2pm and 2-3pm. How much time you leave between FastPasses+ depends on where the rides are located, how familiar you are with the park and allotting time for shopping, photos and eating. For example, you could easily do Peter Pan's Flight and Seven Dwarfs back to back, but Big Thunder Mountain Railroad and Space Mountain would be less ideal. It is possible in all cases to get from one ride to another in the hour time frame no matter what park you're at, but no need to rush! We like to leave 30-45 minutes between our reservations. 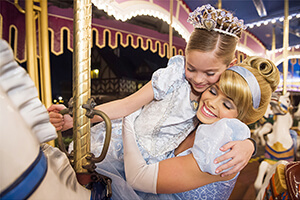 You are allowed to book one Tier 1 attraction per day in advance. After you've used your first three FastPasses+ (one Tier 1, two Tier 2) you can then get ahold of another Tier 1, as long as they're available. Make sense? Let us know if you have any other questions! Hi Frogblog, I love your blog, park plan, tips, etc. so helpful! thanks. I was wondering if I'm lucky enough to get the time slots I will ask for what is a safe enough time between FP rides? is half an hour enough? or should one be more prudent and take 45 min or even an hour? say for relatively close by attractions like Peter Pan and Seven Dwarfs? thx!! Let's say you have a FastPass+ between 1-2, and 2-3. If you arrive to your first one closer to 1, and your second one closer to 3, there is ample time in between! 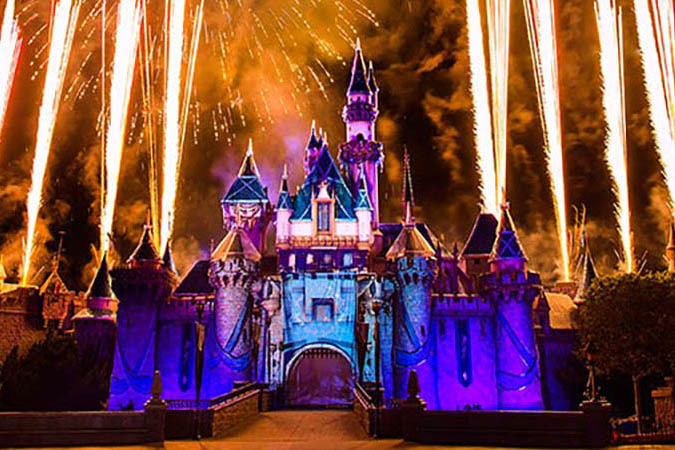 For close attractions such as Peter Pan's Flight and Seven Dwarfs, we'd recommend going towards 2 on the first, and heading straight to your next one. Keep this, as well as distance between attractions, in mind. We think a 30-45 minute buffer is great to allot time for shopping, snacks and photos in between. Hi! Your website is so helpful thank you. I’m within my 30 day mark trying to get fast passes but had no luck with flight of passage (obviously) but can’t get toy story mania either for any day! And my 3 year old is obsessed with toy story. I wondered if they’ve stopped fast passes or something for toy story with the land opening soon? And also I know that the 30 day mark opens at 7am I wondered is that also when they show any changes for example if people have cancelled reservations and fast passes do they immediately go live on the app or is there a certain time that the system resets? Thank you! I can definitely confirm what Frogblog says about periodically checking the FastPass+ situation when you weren't initially able to get the FastPasses you wanted. We were scheduled to go to Animal Kingdom on Easter Sunday (10/10 on the Undercover Tourist crowd calendar! ), and even though I booked our passes close to 60 days in advance (we stayed at a Disney resort), I couldn't get passes for Avatar. I booked for the N'avi River Journey instead, and periodically checked to see if Avatar passes had opened up. One day, I got lucky and there were passes available, so I dumped the N'avi River Journey passes and grabbed the Avatar passes. On the day we went to the park, we made sure to arrive shortly after opening. (Tip: once you've gone through security at Animal Kingdom, you can enter the park either through the main entrance or through The Rainforest Cafe, which can be accessed from both inside and outside the park; we saved ten minutes by going through the restaurant gift shop instead of the park's main entrance!) We went straight to the N'avi River Journey and waited only 20 minutes to ride. Right, you are! With Toy Story Land opening soon, Midway Mania's queue is getting a bit of a makeover, so FastPass+ will temporarily be unavailable. FastPass+ availability changes will show immediately. Hi, thanks for the tips! This is all so confusing! So first question, do the tickets have actual dates on them? We are staying off property, so wondering how "30 days" would start without dates. Second, can we link a friend to us that is purchasing tickets separately but going to the park at the same time? The system (My Disney Experience) won't let you book FastPass+ reservations for dates that are further than 30 days out. Say you're planning on being in the parks starting June 11. Since it's only April 12, you won't be able to book any FastPass+ for the days you plan on being in the park since June 11 is more than 30 days out! Does that make sense? Yes, you'll be able to link your friend to your account. They'll have to also create an account and you can send them an invitation to join your group! I'm trying to make sense of the Fastpass options. First of all, if we are staying on property for a week do I get to schedule all fastpasses for the entire lenght of days when I reach the first day of the 60 days out or do I have to day by day schedule my passes as each day hits 60 days out? Secondly, We have a party of 8 that involves a 3 year old who is not tall enough for a number of attractions. What is the most efficient use of fastpasses for my group? If you're staying on-site, then you'll be able to start making your FastPass+ reservations 60 days prior to your check-in date for the entire length of your stay. 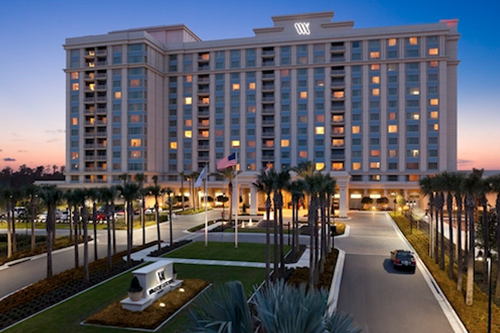 So, you can make all of the reservations for all of the days you'll be staying on-site at your Disney hotel. Hope this makes sense! We recommend utilizing Rider Switch! Hop over to our post on Rider Switch for tips and information. If I book 3 nights at a disney resort and get a 7 day ticket, can I reserve all 7 days of FP+ when the 60 day window opens up?